Bison fans looking forward to seeing athletics make their return to campus will be forced to wait longer than originally anticipated. The North Dakota State athletic department announced a series of schedule changes impacting both the baseball and softball teams. 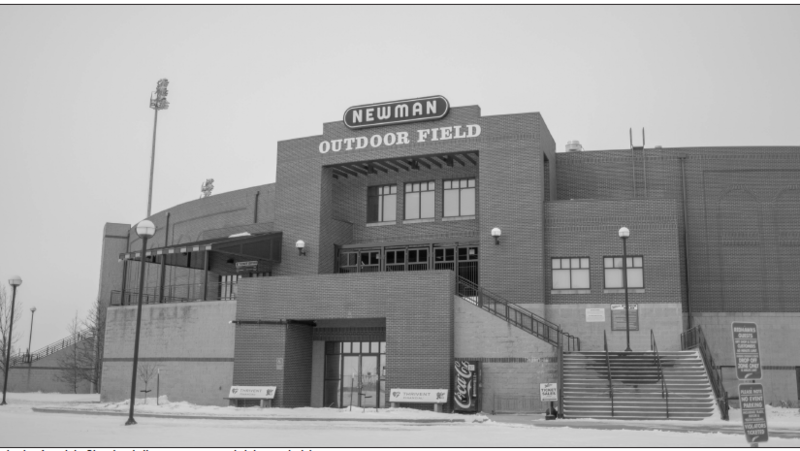 Tuesday was supposed to be the first home baseball game of the season, but the tilt with the University of Mary at Newman Outdoor Field was postponed and will not be made up. The following week, NDSU was slated to host three games against Omaha. Those games have been relocated to Nebraska, where the Bison will play a doubleheader on April 5 and the third contest the following day. Weather-based schedule changes were not limited to Fargo, however. Forecasts forced the Bison’s spring recess series with Oral Roberts to be rearranged. The Herd played a doubleheader this past Friday and a single game on Saturday to adjust for potentially bad weather. NDSU dropped all three games to the Golden Eagles. It was announced on Monday that a similar issue is causing NDSU’s road series with Omaha to be rearranged. The Bison will play two games April 5 and the third on April 6. After facing the Mavericks, NDSU will play a single game at Minnesota and travel to South Dakota State for a three-game set. Their first home contest is scheduled to be April 16 against Valley City State, after which there are presently no road games. Meanwhile, the softball team has only had one minor change to their schedule. NDSU’s home series against Omaha was relocated and will be contested this Thursday and Friday. It marks the rare occasion that both the baseball and softball teams will play in the same city on the same days. The same will be the case when the two squads are in Brookings to face SDSU. Unfortunately for the Bison, their newly renovated Ellig Sports Complex will only see seven regular-season home contests. The Bison will battle North Dakota on April 10, then play host to Fort Wayne and Western Illinois at the end of April and beginning of May, respectively. NDSU will host the Summit League softball tournament for the sixth year running in May. The $800,000 renovation of the softball field includes new grandstand seating and a new press box. The new seating replaces dated wooden bleachers and has a capacity of 552. Beyond the snow, the frozen ground will also factor into the field’s usability. The frost could potentially be worse than in years past due to a minimal snowpack, The Forum reported. Despite not yet playing a home game, both sides are off to respectable starts. The softball team is 20-12 including a win over No. 10 Louisiana State. NDSU’s baseball team is 11-14 and has played in Texas, Florida, Colorado and Arizona. With no relief in sight, both the baseball and softball teams have nothing to do but watch and wait.